BRATTLEBORO, VT -- The town has struck out in its attempt to bring home the bacon - Kevin Bacon, that is. Brattleboro wanted the actor to visit for its third annual Baconfest, a celebration of all things related to the fatty cured pork strips. But he tweeted his regrets on Monday, saying in a video that he won't be able to make it to Baconfest because he's filming in Vancouver. He said he appreciated the "hilarious effort" that went into trying to get him there. The Brattleboro Area Chamber of Commerce launched a social media blitz last month inviting Bacon to Saturday's event. Residents have been photographed with a life-size cardboard cutout of him called Flat Bacon as part of the campaign. Flat Bacon even appeared with Democratic U.S. Sen. Patrick Leahy and Democratic Gov. Peter Shumlin, who recorded a video urging the actor to show up. "Kevin, Vermont has the coolest little town in America called Brattleboro. I was born there. I still love it," Shumlin said. "They're going to have a bacon festival. It will be the best bacon and the best little town in America, and we need you." When asked about the likelihood of the real Bacon attending, the chamber's executive director, Kate O'Connor, told WCAX-TV: "Pretty much zero, but we thought it's worth a try and it's sort of kooky enough that perhaps there's a chance." Baconfest features races, music and bacon recipes. It'll end with a screening of the 1984 Kevin Bacon film "Footloose." 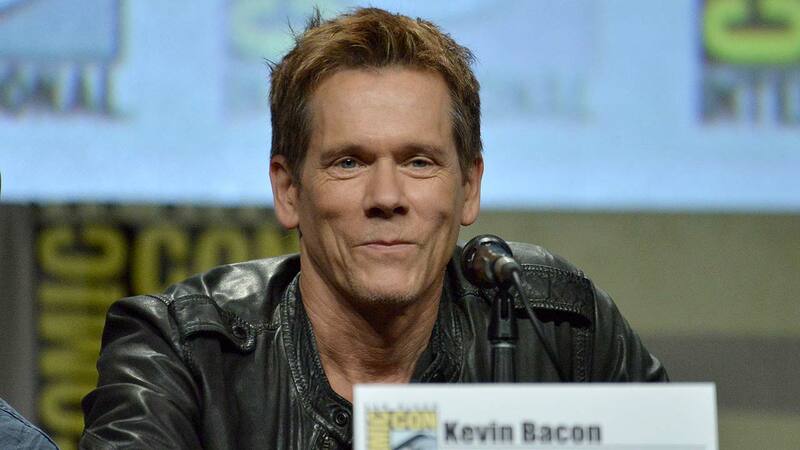 Kevin Bacon, who's from the Philadelphia area, told Baconfest organizers and attendees to "have a great time and enjoy the bacon."